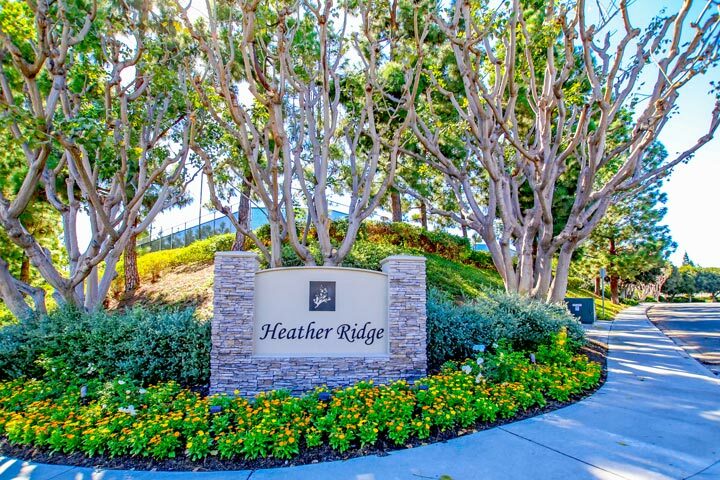 Heather Ridge homes are located in the coastal community of Aliso Viejo. Heather Ridge features residential townhouses with one to three bedroom floor plans that range in size from 670 to 1,200 square feet. Many of the condos here feature gas fireplaces, inside laundry, central air-conditioning and covered balconies. The Heather Ridge homeowners association phone number is 949-855-1800 and managed by Seabreeze property management company that manages a nice community pool, two spas and two tennis courts that's included in the monthly dues for residents who live here. The location is close to the 73 freeway and a short distance to the Aliso Town shopping center. Below are the current Heather Ridge homes for sale and for lease in Aliso Viejo. Please contact us at 888-990-7111 with questions regarding this community andy of the units listed for sale here.